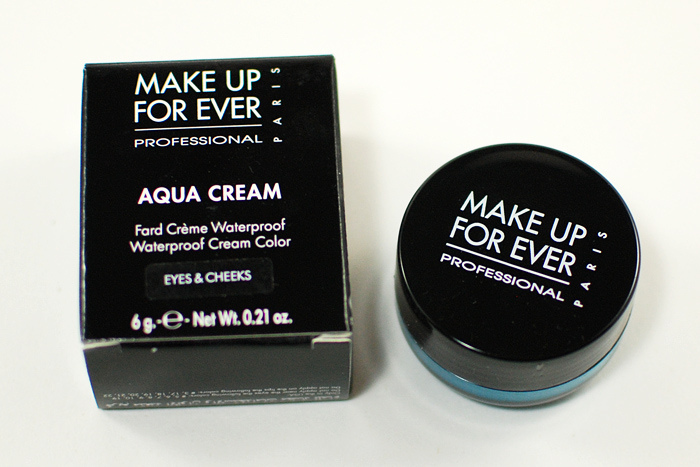 Make Up For Ever's Aqua Cream in #21 is a great product. It's pigmented, versatile, and holds up to its waterproof claims. Sephora lists #21 as a "vibrant turquoise shimmer." 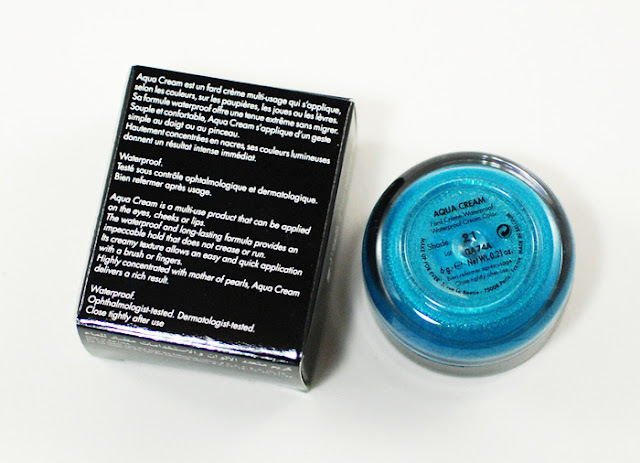 It's a bright blue that is creamy and pigmented. Application is smooth and product glides on effortlessly, but it can be somewhat uneven depending on how it is applied. This aspect gives the product a bit of a learning curve, but it's nothing major to complain about. Shade #21 is meant to be used for both the eyes and cheeks, but I have yet to try it on the latter. 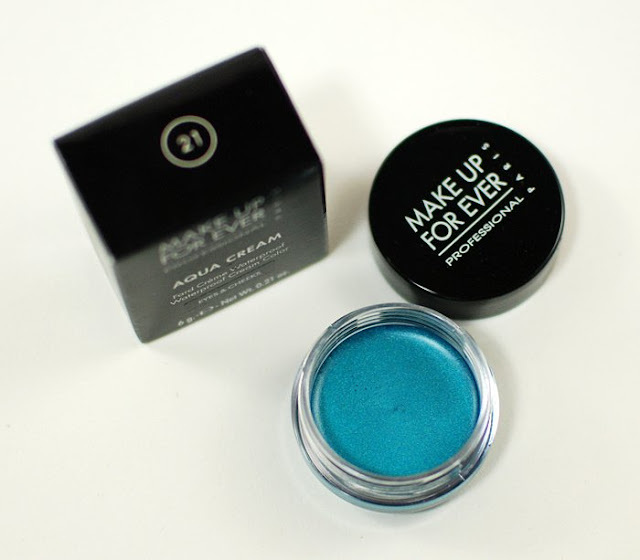 I've applied it as a turquoise eyeshadow base that is more sheer and as an eyeliner for that pop of bold, bright color. Although, I should point out that if too much product is used, it can end up looking crackled and rather unappealing on the skin. After applying, the product will set in a few short moments, but it is fairly workable before it does. It also has excellent wear once it sets, since it won't flake off or budge until you're ready to remove it. From my experience with #21, I've had this color stain and not stain my skin after removal so I tend to use a dual-phase makeup remover like Bi-Facil. The only real downside to MUFE's Aqua Creams is that they're rather expensive (22$). I'll probably stick to Inglot eyeliners unless I'm feeling a particular urge to splurge.